There are certain holidays that are just filled with pressure — pressure to have the best. time. ever. Halloween. New Year’s Eve. And, of course, Fourth of July. Every Fourth of July is a scramble to find the best barbecue, the coolest concert and the finest fireworks. It’s even more pressure when the Fourth falls on a Friday, which means you have to fill up a long weekend with fun! Well, we’re here to help. If you’re looking for things to do in Durango this Fourth of July, look no further. No Independence Day in Durango is complete without the town’s annual July 4 events, which kick off in the morning with an all-American breakfast and a 5K fun run/walk at Rotary Park. Don’t forget the parade at 6 p.m., followed by a street dance on Main Avenue and an old-fashioned, Wild West cowboy shootout at 7 p.m. outside the Diamond Belle Saloon in downtown Durango. The night wraps up with a fireworks display when it gets dark enough (usually around 9 p.m.). If you didn’t get enough fun-running and fire-cracking on Friday, then hit up Durango Mountain Resort on Saturday for the Backcountry Experience Firecracker Fun Run and 5K from 10 a.m. to 3 p.m. The race is free to join, and registration is 9-10 a.m.
Saturday also offers another chance for a second fireworks show at Vallecito Lake, a secluded mountain valley and lake less than 20 miles from Durango. 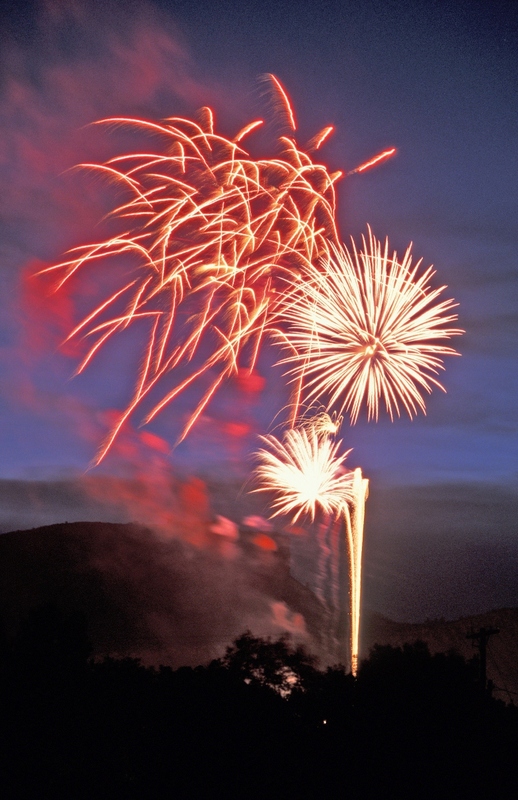 Don’t miss the Vallecito Lake Arts and Crafts Fair from 10 a.m. to 5 p.m. just below the Vallecito Dam, followed by another fireworks show from 9-10 p.m. Catch a spot along the lake’s 12 miles of shoreline to watch the star-spangled fireworks over the lake. Spend your long Fourth of July weekend with us at the Durango Quality Inn! We’re only 2 miles north of downtown and a straight shot north of the festivities on Main Avenue (and easily accessible on the city’s free trolley). Happy Independence Day!